NEPTUNE, N.J.–(BUSINESS WIRE)–While it’s no secret that choosing olive oil is the smart, healthy choice when selecting cooking oils, many home cooks are still in the dark when it comes to which olive oil to choose. What’s the difference between extra virgin, regular and light? Which one is best for particular cooking needs? Luckily, it isn’t as complicated as it may seem—it all comes down to type, taste and quality. There are three main types of olive oils sold in the U.S. market: extra virgin olive oil, olive oil, and light olive oil. No two olive oils are alike—each variety has its own fragrance, color and flavor profile, from intense and bitter to smooth and fruity. With such a wide range of flavors, there’s an olive oil to suit everyone’s taste and cooking needs. * Extra virgin olive oil is produced from full-flavored ripe olives and is the most flavorful of olive oils, boasting a robust, fruit flavor and a more full-bodied taste and aroma than other olive oil varieties. Extra virgin olive oil is best enjoyed raw in order to appreciate its full taste. It’s perfect for dressing salads and vegetable dishes, basting meats and seafood, seasoning soups, marinades and sauces, or alone as a dip for bread. Reach for extra virgin olive oil when you desire a full, rich flavor in your foods. * Olive oil is an excellent, all-purpose cooking oil that is more golden in color than extra virgin olive oil. Olive oil has a mild, sweet flavor with a hint of fruitiness, and can be used for everything from sautéing and stir-frying to basting grilled or oven-roasted meats, poultry and seafood. 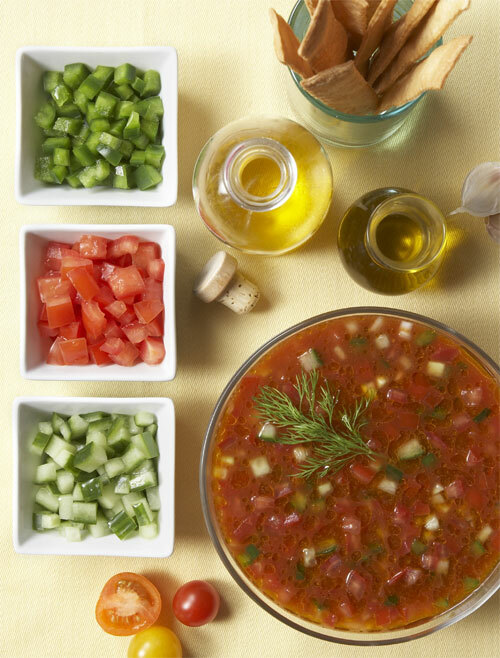 Olive oil also works well as a flavor enhancer for sauces, marinades and dressings. Olive oil retains its properties during heating, which makes it good for frying. * Light olive oil has a light golden color and is the mildest of olive oils with just a hint of olive flavor. It’s an excellent choice for baking, and can be used in place of plain vegetable oil in most recipes. Its mild flavor is great for delicate dishes, such as fish or fresh vegetables, and it’s also the best choice for high-heat cooking methods and frying, because it remains extremely stable and won’t burn. Light olive oil has the same amount of calories and nutrients as other olive oils. The wide range of flavors of olive oil make it great for everything from baking to frying, but what exactly is a quality olive oil supposed to taste like? The quality and taste of extra virgin olive oil depends on the health and ripeness of the fruit at the time of harvest, as well as the production process and storage conditions. Evaluating olive oils requires a full sensory analysis to identify positive and negative attributes, a process so complex that tasters selected to classify olive oils according to international regulations require years of experience before they are certified to analyze olive oils. Even though professional tasters need years of training, home cooks can still evaluate olive oils for flavor profiles that fit their individual tastes. Olive oils have an array of positive flavors, such as fruity, bitter, pungent, sweet and grassy—just be sure to stay away from negative flavors, such as musty, vinegary, metallic, rancid or burnt. With hundreds of years of experience in the olive oil business, Mediterranean countries produce some of the highest quality olive oils found in the U.S. When consumers reach for these imported olive oils, it’s important that they get exactly what they pay for. Fortunately, olive oil is one of the most regulated food products in the world. The International Olive Council (IOC)—the worldwide body that sets quality standards for the olive oil industry—rigorously tests olive oils in IOC-certified labs to verify quality and authenticity. Their Expert Chemist’s Group continuously develops and reviews tools to assess quality and purity of olive oils, working to assure consumers that exported oils are correctly defined and named, that their chemical characteristics are in order and that they comply with IOC labeling criteria. Another regulatory agency for olive oil is the North American Olive Oil Association (NAOOA), the largest olive oil trade association in the United States and Canada. For 22 years, the NAOOA has represented the marketers, packagers and importers of olive oil in the United States, Canada and their respective suppliers abroad to help protect the quality and integrity of imported olive oils. Because imports make up about 99 percent of olive oil sold in the U.S., the quality and purity of imported olive oils is of utmost importance to international producers and distributors. Consumers can rest easy knowing they’re getting the best in taste and quality when purchasing imported olive oils—all they are left to worry about is how many flavors and varieties to keep on hand. Professional tasters have years of experience, but there are some basic tasting guidelines the home cook can follow to identify the tastes and qualities of extra virgin olive oil. A sensory analysis of the positive and negative attributes of olive oils should only be done with extra virgin olive oils, as they are the most flavorful olive oils. When conducting a tasting, make sure to complete all phases of the analysis: visual, olfactory, gustatory, retro-olfactory and tactile. 2. Visual analysis: Pick up glass. Rotate gently to wet the inside of the glass with olive oil. Evaluate the oil for the following positive visual attributes: clean and/or filtered; and the following negative visual attributes: veiled, opalescent, cloudy or murky. 3. Olfactory analysis: Smell the sample in small deep breaths. 4. Take a small sip and let the oil fill your mouth. 5. Gustatory analysis: Evaluate the flavor for fruitiness, bitterness and pungency. Concentrate on the order of appearance of bitter and pungent flavors. 6. Retro-olfactory analysis: Take short, successive breaths to perceive the flavors through the back of the nose. 7. Tactile analysis: Pay attention to the tactile sensation of pungency in the throat—the density, softness and fluidity of the oil. 9. Cleanse the mouth with a slice of apple and rinse with water. *The color of olive oil is not indicative of quality—the variety of the olive and the harvesting date determine the color of the oil. Early harvest olives give green oils; as olives mature they produce oils from golden yellow to light yellow. Uses for olive oil are as varied as the seasons—olive oil can be used in everything from salads to sorbet. To celebrate the arrival of summer, the North American Olive Oil Association created an olive oil-inspired menu perfect for any summer occasion, be it a weekend barbeque or weeknight dinner. Start off with chilled Gazpacho and Goat Cheese and Kalamata Olives Flatbread, followed by grilled, slightly spicy Chimichurri Chicken. Finish with a refreshing dessert of Honey, Citrus, Olive Oil Fruit Kebabs and Rosemary Sorbet for a meal that won’t disappoint. Combine all ingredients in large bowl; mix well. Cover and chill at least 2 hours to blend flavors. Garnish with grated lime peel, if desired. Note: If desired, blend ingredients in food processor or blender for a smoother texture. Garnish with cucumber slices. Spread the mozzarella and goat cheese evenly on the dough. Place the kalamata olives, roasted peppers and onions on top of cheese. Top with Parmesan cheese; drizzle top with extra virgin olive oil. Bake for 4 to 5 minutes. To serve, garnish with fresh basil. In blender or mini chopper, process garlic until finely chopped. Add carrot; process until finely chopped. Add parsley and basil; chop, scraping sides as needed. Add olive oil, vinegar and salt; pulse to blend. Remove to serving bowl; cover and set aside. Spray large nonstick skillet with nonstick cooking spray; heat over medium heat. Sprinkle chicken evenly with garlic pepper; add to skillet. Cook, covered, for 5 minutes. Turn and cook 4 to 5 minutes longer or until chicken is no longer pink in thickest area. Top with Chimichurri sauce and serve. Tip: For this recipe, find melons that are in season. Cantaloupe or honeydew work well with the flavors. In a bowl, add the honey, lemon juice and Cointreau; use whisk to blend. Little by little, gradually whisk in the olive oil. Add mint and continue mixing. Reserve. On each bamboo stick, place one piece of melon, then pineapple and end with the strawberry. Arrange two kebabs on 4 serving plates; drizzle with the glaze. To serve, sprinkle kebabs with powdered sugar and decorate with a mint leaf. Serve with lemon sorbet, if desired. Executive Chef Mateo Bergamini from SD26 in New York City developed a unique recipe for the North American Olive Oil Association that showcases the versatility of olive oil—Rosemary Sorbet. Serve alone or with fruit kebabs for a refreshing summer treat. In a 2-quart saucepan, place the water, sugar and rosemary sprigs. Bring to a boil over medium heat then remove from heat immediately and let cool (liquid should be cool to the touch). Once cooled, strain the liquid into a small mixing bowl, removing the rosemary. Add the lemon juice, lemon zest, extra virgin olive oil and vodka. Pour the mixture into a 2-quart ice cream maker and follow the ice cream manufacturer’s instructions for sorbet*. While the ingredients are mixing, whip the egg white. When the sorbet is almost completely frozen (mixture will be thick but still mixable), gently fold in the whipped egg white. Do not over mix after adding the egg white. Serve immediately or place in the ice cream maker bowl in the freezer until ready to serve. To serve, place in a small bowl and drizzle lightly with extra virgin olive oil. Add a small sprig of fresh rosemary and a light lemon zest. *Note: Without an ice cream maker, the sorbet can be made by placing in a stainless or copper mixing bowl in the freezer and whisking with a fine wire whisk every thirty minutes until the sorbet thickens. Follow the same procedure for adding the egg whites. Established in 1989, the North American Olive Oil Association is a trade association of marketers, packagers and importers of olive oil in the United States, Canada and their respective suppliers abroad. The association strives to foster a better understanding of olive oil and its taste, versatility and health benefits. For more recipes and information about olive oil and the NAOOA, visit www.aboutoliveoil.org.